I had the pleasure of chatting with award winning actress/singer Loretta Devine who will be appearing at The Rrazz Room in the Hotel Nikko in San Francisco November 27-29. Her shows will be at 8pm on Friday and Saturday and 7pm on Sunday. Tickets are available at www.therrazzroom.com. We talked her upcoming shows this weekend, her current film projects, and her beginnings in acting and theater. It was a very fun and Loretta was gracious and lovely. I definitely look forward to seeing Loretta in concert this weekend. See you there! 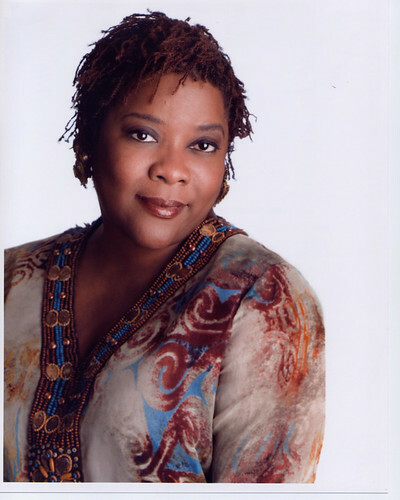 Please listen to my interview with Loretta Devine. Equally at home on stage or on screen, award-winning actress Loretta Devine has created some of the most memorable roles in theatre, film and television. Devine first captured national attention in the role of Lorrell, one of the three original “Dreamgirls” in Michael Bennett’s classic award-winning Broadway musical of the same name. She followed that performance with a fiery portrayal of Lillian in Bob Fosse’s critically acclaimed stage production“Big Deal.” Subsequent work in George C. Wolfe’s “Colored Museum” and “Lady Day at Emerson Bar and Grill,” cemented Devine’s status as one of the most talented and versatile stage actresses. Film roles soon followed including a poignant turn as a single mother opposite Whitney Houston, Angela Bassett and Gregory Hines in “Waiting to Exhale” which earned her a NAACP Image Award for Best Supporting Actress. Devine also won an NAACP Image Award for Best Supporting Actress for her work in Penny Marshall’s “The Preacher’s Wife.” Devine also received an IFP “Spirit” Award nomination for Best Actress for her work in “Women Thou Art Loosed.” Devine was featured in the Academy Award-winning film “Crash” and the hit movie of “Dreamgirls.” Additional film credits include appearances in the successful “Urban Legend” franchise, “I Am Sam” opposite Michelle Pfeiffer and Sean Pean, “Kingdom Come,” “What Women Want,” “Punks,” “Hoodlums,” “Down in the Delta” and “Stanley and Iris.” Devine also appeared in “Sticky Fingers,” “Amos and Andrew,” “The Breaks,” “The Price of Kissing,” “Lover Girl,” “Class Act,” “Living Large,” “Caged Fear” and “Little Nikita” and “Dirty Laundry” Most recently Devine co-starred in “This Christmas” and “First Sunday” both of which opened Number 1 at the box office. Ms. Devine voiced the character of Delta the chocolate brown toy poodle in “Beverly Hills Chihuahua” for Disney starring Drew Barrymore. Look for the upcoming 2010 release of Sony Screen Gems remake of “Death At A Funeral” with Chris Rock, Martin Lawrence and Danny Glover. Devine graduated from the University of Houston and later received a Master of Fine Arts in Theatre Arts from Brandeis University. She currently resides in Los Angeles. This entry was posted on Tuesday, November 24th, 2009 at 12:29 pm. It is filed under Artist Interviews, Podcasts, The Rrazz Room and tagged with actress, film, Loretta Devine, podcast, San Francisco, stage, The Rrazz Room, theater. You can follow any responses to this entry through the RSS 2.0 feed.